Kodi for Mac (formerly known as XBMC) is an award-winning free and open source (GPL) software media player and entertainment hub that can be installed on Linux, OSX, Windows, iOS, and Android, featuring a 10-foot user interface for use with televisions and remote controls. It allows users to play and view most videos, music, podcasts, and other digital media files from local and network storage media and the internet. Kodi can play all your music including mp3, flac, wav and wma formats. It has cue sheet, tagging support and smart playlists for ultimate control of your music collection. Kodi can do Movies too! Supporting all the main video formats including streamable online media, Kodi for Mac can import, browse and play your Movie collection with ease. The TVShow library supports episode and season views with posters or banners, watched tags, show descriptions and actors. Great for keeping track of your progress. 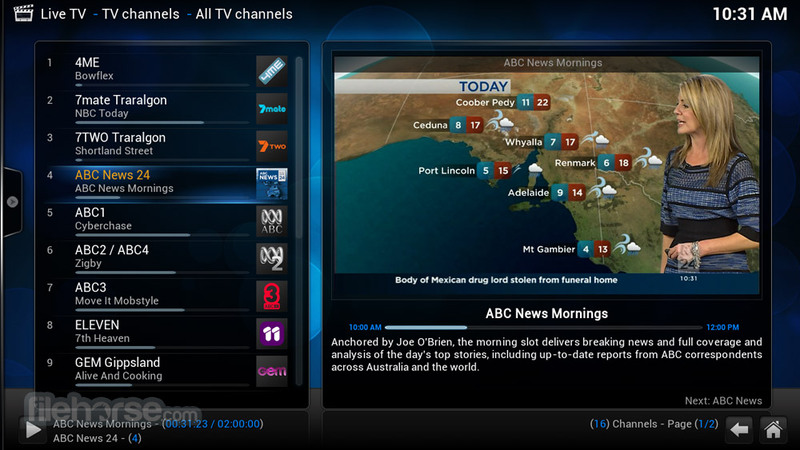 Kodi for Mac allows you to watch and record live TV all from the GUI interface. 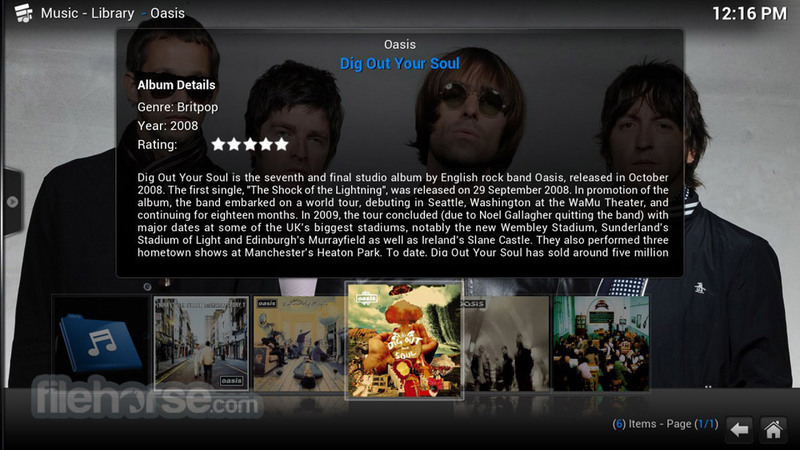 It works with a number of popular backends including MediaPortal, MythTV, NextPVR, Tvheadend and many more. 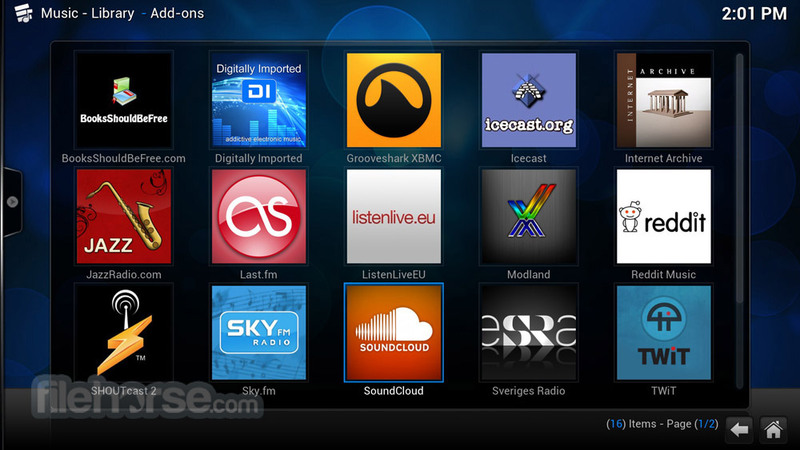 The real power of Kodi comes from the vast selection of user created Add-ons that are available though repositories. There are Add-Ons for popular web services, applications and scripts. With UPnP compatibility you can stream to and from any other Kodi instances and play to other UPnP compatible devices in your home with ease. With support for hundreds of remote controls, CEC-compatible TVs, or one of the new Smartphone and Tablet Apps, Kodi allows you to control your media your way. Note: Kodi does not provide any media itself. Users must provide their own content or manually point Kodi to third party online services. The Kodi project does not provide any support for bootleg video content.